Thursday, November 29th, 2012. 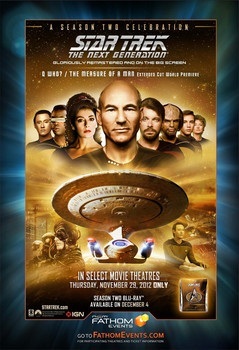 The day most Trek fans will recall as being the Fathom events celebration of the Blu-Ray release of Star Trek: The Next Generation Season 2. This fan, however, made it to the theater late and decided to see Lincoln instead. Do I regret missing the Star Trek event? Yes Was the movie good? Yes. I hope to hear from someone who went and report on their thoughts. 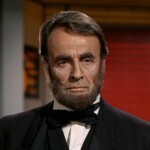 Most obvious, is when Lincoln visited Kirk on the Enterprise in “The Savage Curtain”. In this episode, he is seen joining forces with Kirk, Spock, and Surak to fight against an evil quartet from galactic history (including Kahless himself!). Here, Lincoln is shown as a wise leader that is willing to get his hands dirty to fight for a righteous cause. Though he turns out to be a rock monster in disguise does not lessen the fact that he thought he truly was Lincoln. 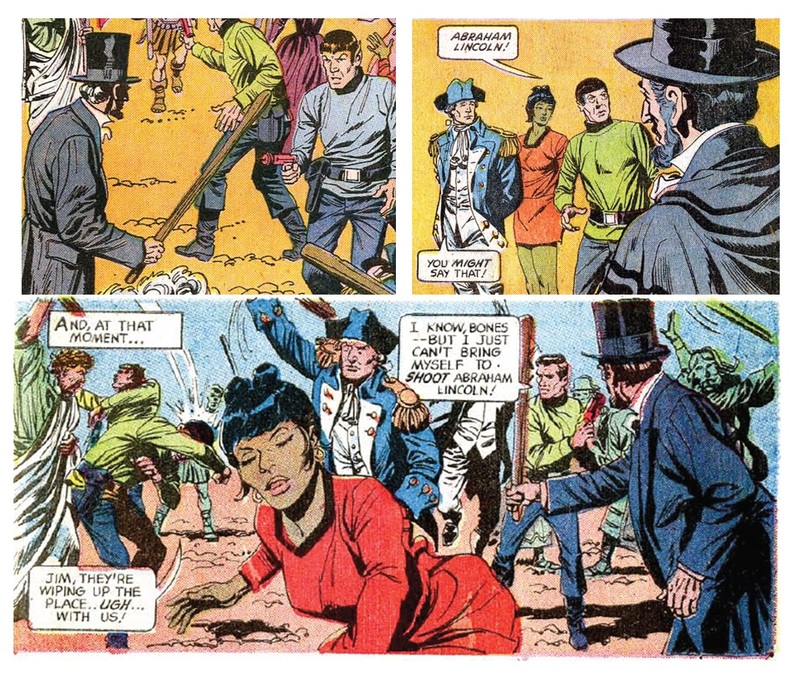 A few years later, Gold Key had us visit Lincoln again in issue number 9. Not only does Kirk meet with Lincoln again, he also meets with George Washington and his wife Cleopatra along with hundreds of other famous humans from Earth’s past. This time they turn out to be robots. They do think that they are indeed the people they represent, but the evil scientist is able to turn them to evil and they attack the Star Fleet crew. 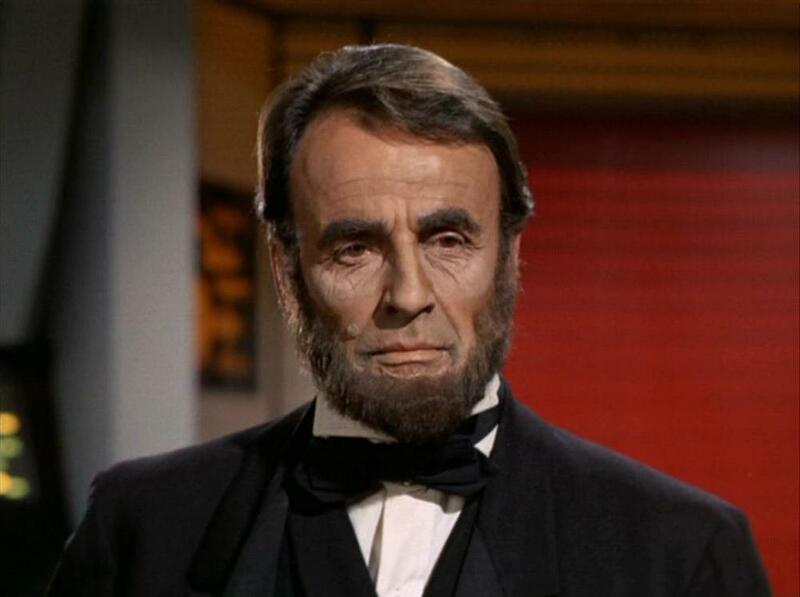 Did I miss any other guest appearance of Lincoln that you can think of? I know that his image appears on screens from time to time, but these are the only times I can recall him interacting with the crew. If I missed one, please let me know below.